June 2013 | What's the Point? Disney Social Media Moms - On the Road in NYC! Welcome to those of you joining me from The Disney Kids and those of you just hopping aboard. I am the fourth stop on our Magical Blogorail. I love my blog, but the truth of the matter is that this is a hobby for me. 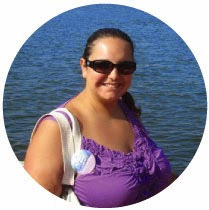 I blog because I truly love to write and I love sharing my passion for all things Disney. What is my day job? I am a full time public relations professional and social media manager and it's a demanding career. I commute over two hours a day to and from New York City. And no, I'm not a mom quite yet. 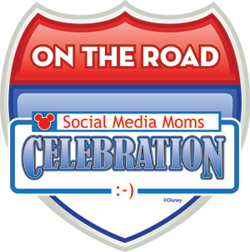 So when I got an email inviting me to attend the Disney Social Media Moms Celebration - On the Road, I was pleasantly surprised and honored. :-) By the time I got my time off approved, I had to scramble to get ready for the big day. Last Wednesday, June 5, I woke up bright and early to make the 7am Staten Island Ferry to Manhattan. 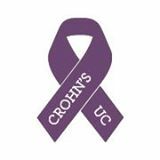 My ulcerative colitis makes getting up that early a little difficult, but I awoke extra early to make sure I'd be prepared. The ferry is so peaceful at that time and I prepared myself for the Conference. I arrived at the DoubleTree Midtown at about 7:45am and immediately heard the high pitched excitement of the other Disney Social Media Moms. We checked in picked up our fun swag bags and nametags. Prior to even walking through the revolving doors of the DoubleTree, the importance of social media was apparent. We had to disclose all of our social media properties, the number of followers and likes, and a description of our followers. 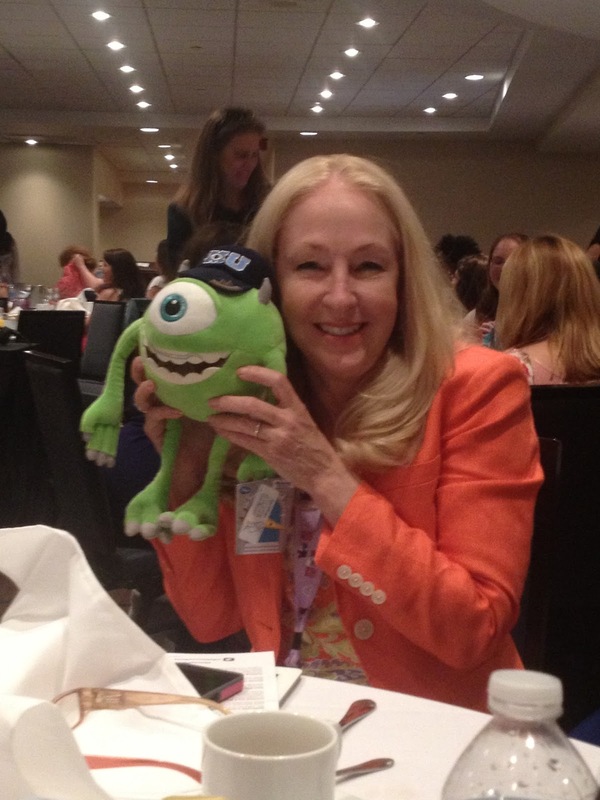 The #DisneySMMoms and #DisneyOnTheRoad hashtags were alive and well from the moment the invitations were sent. Instagram, Twitter, Facebook, Vine - the attendees were about as socially savvy as possible. The first question for the presenters was always "what's your Twitter handle?" It was also normal for a bunch of chatty women to be looking down at their phones rather at each other. In fact, the ladies at my table were tweeting each other during the presentation rather than chatting! But it wasn't rude. We know why we were chosen...our social influence. Gary Buchanan, Social Media Managing Editor for Disney and writer for the Disney Parks Blog, manned an entire social media table. He tweeted and captured what was going on while it was happening. Just as important, he was immediately responsive to questions and comments by the audience. DisneyRoe's Top Tip: Don't make the same mistake I did. Bring a charger. For everything. After the first hour of Instagramming, Tweeting, Facebooking, and so on, my phone was nearly dead. It was only 9am. The trick to being fully connected is not to have to stop to find an outlet. I finally got to meet my Magical Blogorail friend Didi from DIStherapy! Social media is a part of our lives whether we like it or not. No matter what you're trying to accomplish, social media will continue to play a role in this. My favorite social aspect of the day: putting the name to the Twitter handle! Disney community is so wonderful and we interact on a daily basis. Yet we never get to actually chat in person. Be sure to introduce yourself, your blog and your handle! What are your social media tips for your blogs? Thanks for reading! Thank you for joining me today. 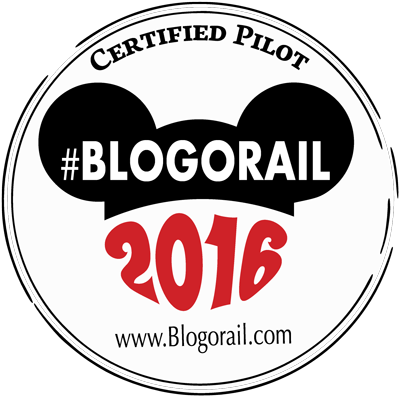 Your next stop on the Magical Blogorail Loop is Delightfully Disney. The following is part one of a trip report from my Disney Dream/Walt Disney World vacation from this past November. Please leave your comments and let me know if you have any questions. My husband Tom and I love to cruise. 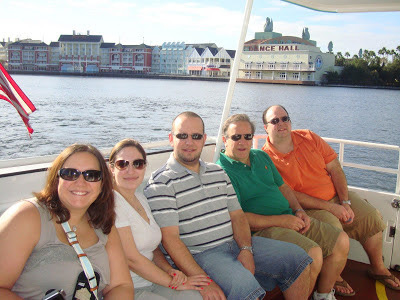 Living in New York, we've had a lot of opportunities to go on really fun and affordable cruises. 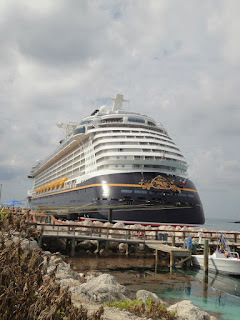 However, I had been itching for a very long time to go on a Disney Cruise. My last Disney Cruise was on the Disney Magic in 2000. I was in high school and while I enjoyed it, I don't think that I appreciated it as much then as I do now. 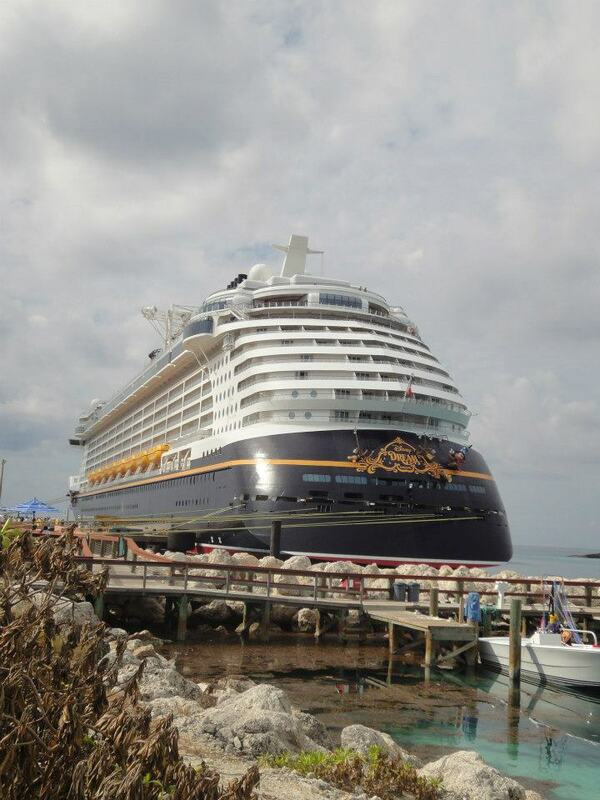 As many of you know, one of the biggest obstacles to a Disney Cruise is the expense. It costs a lot of money, especially if you're used to Walt Disney World value or moderate resort pricing, or even pricing for other cruise lines. Is it worth the money? That's a different topic for a different day. I would certainly argue yes, it is worth the money; however, it doesn't make it any easier to save. This time, however, I was determined. We were purchasing a house and I knew that after we got in and project after project piled up, there would be too many obstacles in the way of our dream (Dream?) trip. Because of a strict budget we had to be a little creative, but we made it work and we had a trip of a lifetime. After convincing another couple to come with us we booked our trip for November. We used our United Airlines miles to fly from Newark Liberty Airport to Orlando International. We got in an inside stateroom on a four night cruise. We used my parents DVC points for a Walt Disney World stay at Disney's Saratoga Springs Resort & Spa. We made our dining reservations. We were ready. Less than a week before we left for our trip, while our bags sat in our apartment fully packed, our home of Staten Island, NY was slammed, smashed and practically drowned by Hurricane Sandy. We were lucky in that none of our family members were harmed, but it hurt us deep down inside to see our hometown in complete shambles. Stay tuned for a daily trip report on Fridays! I have a lot to be thankful for in my life. My Dad is someone I don't know what I'd do without. He is a kind, wonderful man. Everyone who knows my Dad, loves my Dad. My Dad is also a big Disney fan! So, this Wordless Wednesday is dedicated to him! 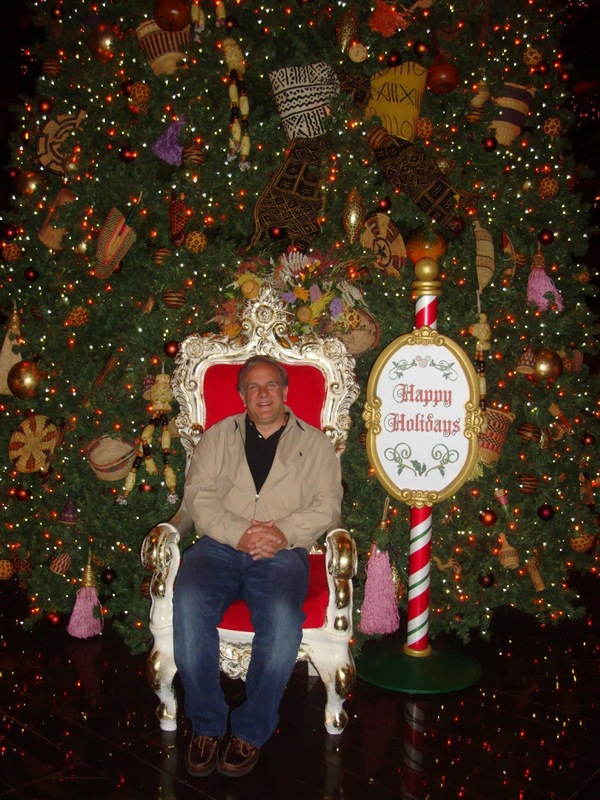 My Dad absolutely loves the Christmas season. There is not one inch of our home that isn't decorated at Christmas. The first time he visited Walt Disney World at Christmas was on my College Program. He tries to go as much as possible now and enjoys every bit of it! 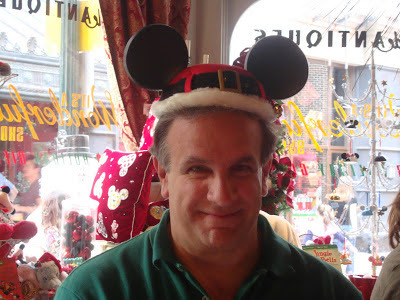 So, here's to my Disney Dad, a big, happy kid at heart! I love you! Thank you for blessing me with this Disney gift. Happy Father's Day! Welcome to those of you joining me from The Magical Mouse Pad and those of you just hopping aboard. I am the second stop on our Magical Blogorail. I've been going to Walt Disney World for the past 27 years. There are very few attractions I haven't experienced over those years. And what I didn't do when visiting on family vacations, I made sure I experienced when I was on my Walt Disney World College Program and Professional Internship. There are few attractions I tend to avoid, whether consciously or unconsciously. When I'm at Epcot, I tend to skip Mission: SPACE because it makes me a little queasy. At Hollywood Studios, I don't often go see Beauty and the Beast stage show because it's hot. At Animal Kingdom, I rarely go on Kali River Rapids because I am uncomfortable walking around in wet sneakers all day. Yet if I'm with a group and they want to experience any of the above attractions, I'm always IN! Believe it or not, I have NEVER experienced SWISS FAMILY TREEHOUSE! Why? Well there are a couple reasons. When I was a child we always visited in August, and much like the Beauty and the Beast stage show (mentioned above, which is fabulous by the way) it was simply too hot to climb a tree. Now, my reason is much more practical. I panic when I feel slightly claustrophobic. Therefore, it never appealed to me. My husband whines every single time we pass the attraction. I always offer to wait and outside and have a refreshing Dole Whip while he enjoys the Swiss Family Treehouse, but somehow that always results in the two of us eating Dole Whips! Thank you for joining me today. Your next stop on the Magical Blogorail Loop is The Disney Chick. I've always played by the rules. I'm not quite sure why but I have never been one to act out. My parents always used to laugh when my teachers used to tell them that I needed to stop apologizing when they were reprimanding other students and I did not do anything wrong. Here's the thing about rules: if they are reasonable, there's no reason to break them. They are there for a very important reason and they are fair. Disney has a very reasonable system in place when dealing with guests with disabilities. Say you are traveling with your spouse, 10 year old child and 5 year old autistic child. If that autistic child cannot wait in line, you can go up to guest relations at the front of any Disney theme park. You can give them a description of your child's limitations. They will most likely issue you a Guest Assistance Card. The GAC will outline your child's limitations. Then the guest with disability can show the card to Cast Members at every attraction. The attractions have different rules, but for the most part, you will be granted special access for you and up to six members in your party. Disney DOES NOT ask you what your limitation is, due to privacy laws. The problems started most likely when the internet came around. Irresponsible bloggers and others got wind of this process. It has been billed as a "front of the line" pass online. It starts with whispers and now the whole world gets wind of it. "An easy way to skip the lines at Disney." Here's the issue: there are people who actually need it, like "Make a Wish" kids and elderly guests. Here's the second issue: there are people who don't need it, just like you, who are now waiting longer due to your irresponsible behavior. There are so many things wrong with this scheme I didn't even know where to start. The steam started coming out of my ears. I took to my Facebook page. Then the Today Show came out with this "undercover" video, which made me even more sick to my stomach. "This is how the 1% does Disney." Really? If you were truly the 1%, maybe you should've thought about hiring a Disney VIP Tour Guide. That's right, there are Cast Members who truly have a front of the line pass without exploiting people with disabilities. This shameful scheme is now public knowledge. It is my biggest worry and concern that now that people know about it, Disney will change their policy. As someone with an invisible illness, I don't want to see guests who actually need the GAC ridiculed by the standby guests. I know I've been on my high horse, but I beg of you to please think about your actions. Remember what you are teaching your children. If I complained about waiting in line when I was a child, my parents would say, "There are no lines at home." Your children should be grateful for your Disney vacation. You are not better than anybody else. There are no shortcuts in life. You should be grateful for your health and good fortune. There are a LOT worse things in life than waiting in line at Disney World.